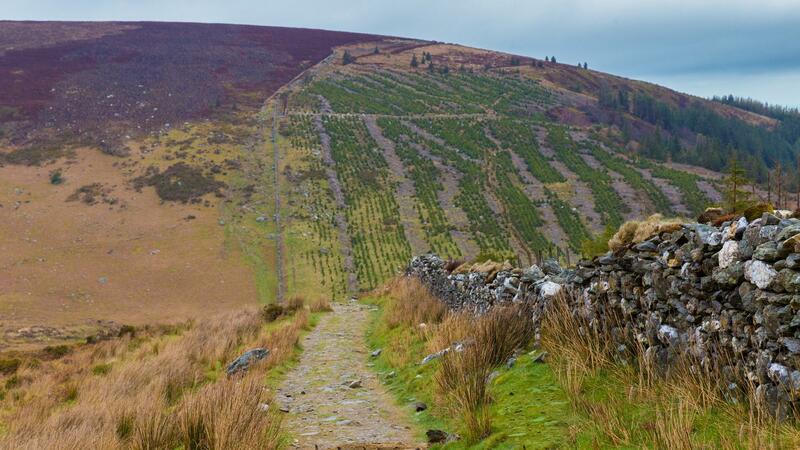 The Wicklow Way is Ireland’s oldest way-marked trail, pioneered by famous hill walker, J.B. Malone. 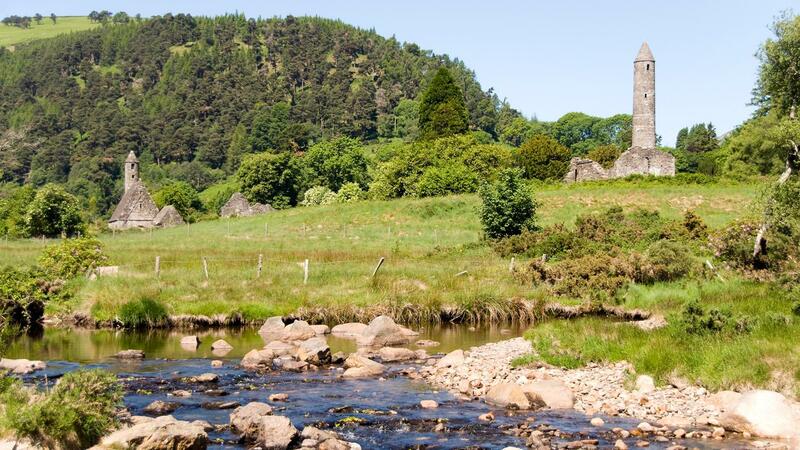 This popular walk stretches from just south of Dublin, through the Wicklow Mountains and on to County Carlow, to reveal some of the most spectacular views in the Emerald Isle. 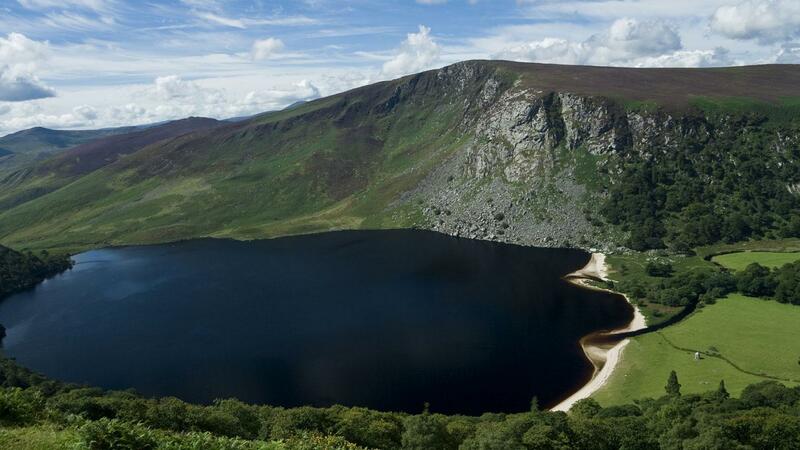 Hike past Ireland’s highest waterfall and discover why the tranquil Lough Tay has gained the name ‘Guinness Lake’. The Wicklow Way combines easy accessibility with a wide variety of scenic experiences, some of them in truly remote upland areas. They include mountains, upland lakes, steep-sided glacial valleys, fast flowing mountain streams, forests and farmland. Your trip begins in the lively city of Dublin, packed full of centuries-old monuments, including Trinity College and Dublin Castle. A quick bus journey brings you to the traditional start of the walk at Marlay Park. A choice of itineraries means if you’re short on time, you can opt to cover the highlights of the Wicklow Way and finish at Tinahely, or alternatively continue the full length of the Way through to the small village of Clonegal in County Carlow. You will pass some of the most striking scenery, through the long glacial Glenmalure Valley and with luck giving you glimpses of the multitude of wildlife abundant in this area. The walk is testament to the achievements of the people that live here, with Glendalough being home to the 6th Century monastic city which was the seat of European learning for 6 centuries. With the magnificent Powerscourt and Guinness estates on route as well, the Wicklow Way will spoil you with sites of both natural and man-made beauty. 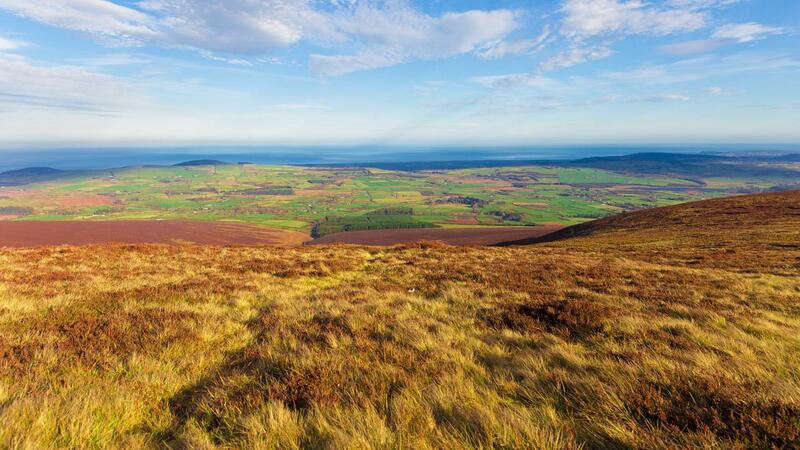 The Wicklow Way is a beautiful walk through County Wicklow filled with stunning scenery and amazing history. Arrive in lively Dublin, a great introduction to the Emerald Isle! 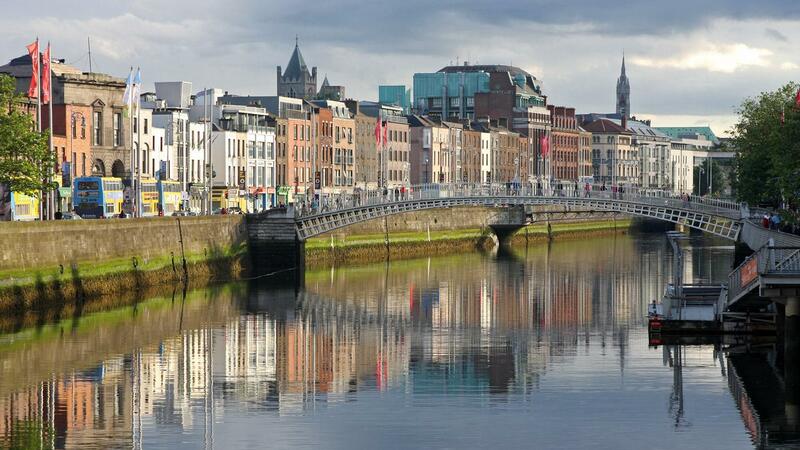 Ireland’s charismatic capital boasts many landmarks and monuments dating back hundreds of years. Visit the castle and Trinity College, and sip a pint of the ‘black stuff’ in a traditional Irish pub. mountains and glens south of Dublin. Pass Glencullen Forest and continue on down towards Glencree. Picturesque Enniskerry is 4km off the trail and a good overnight option, with its beautiful Powerscourt House and Gardens. Ascent approx. 600m. 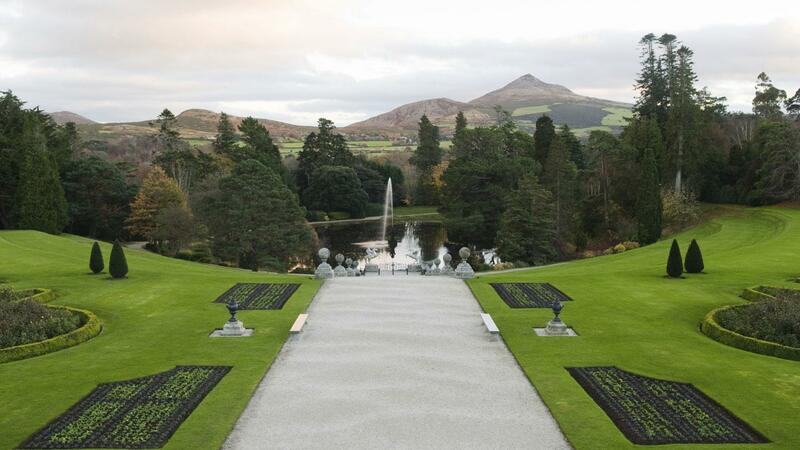 Start the day with a spectacular view over the Powerscourt waterfall (Ireland’s highest at 121m) and Deer Park. Soon you’ll embark on a steady ascent across the exposed shoulder of Djouce mountain and across the saddle onto White Hill. In good weather you may wish to summit Djouce (725m) and you’ll see great views of Dublin Harbour, the Howth Peninsula in the north, Great Sugarloaf to the east and rolling hills to the south. 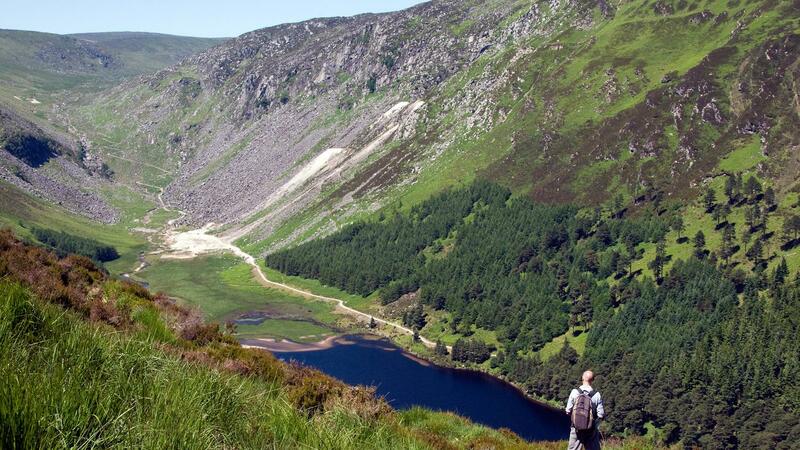 Follow a raised walkway (to protect the fragile blanket bog) with more fantastic views to brooding Lough Tay as you descend into the Luggala Valley, home to the ‘Guinness’ estate. Ascent approx. 500m. This section is characterised by easy walking with moderate gradients (up to 350m) along quiet roads, forest track and mountain paths, edged by heather, gorse and spruce. You are in the very heart of the Wicklow uplands and at the intersection of four major glacial valleys (Avonmore, Glenmacnass, Glendasan and Glendalough). Hike the north-eastern shoulder of Paddock Hill, descending to cross Glenmacnass river. The path to Laragh (close to Glendalough) runs along part of an old mass path, heavily used by churchgoers and school children before the advent of motor vehicles. Friendly bed and breakfast or guest house accommodation awaits at Laragh, with the 6th century Monastic City of Glendalough close by (if you’ve time, it’s well worth adding an extra day at this point, as the area has so much to offer scenically and historically). Ascent approx. 350m. Set out across the floor of the Valley of the Saints. Reach the Lugduff Valley where you’ll pass by the mysterious green waterfall of Poulanass, before starting on a 4-5km uphill section of 400m to the shoulder of Mullacor, crossing the saddle on a well-placed boardwalk over the boggy ground. With lovely panoramic vistas all around, head down into the Glenmalure Valley, admiring Wicklow’s highest mountain, Lugnaquilla. You will end this stage of the walk right in the heart of the lovely Glenmalure Valley. Ascent approx. 400m. Hike through the southern upland section and into the undulating emerald hills of southwest Wicklow on this longer stage. Cross the forestcloaked slopes of Slieve Maan, ascending around 400m over 6km, before reaching a Military Road and almost touching the summit of Carrickashane (508m). Cross the River Ow at Iron Bridge (Aughavannagh), where peaty water falls over the rocks in rapids. From Iron Bridge the path’s nature changes from steeper inclines/ascents to gentler gradients that meander between low hills. Grassy lanes dominate this section, with some track through beech woodland as you head towards the Georgian village of Tinahely, a short distance from the Way. Tinahely is known for its charming triangular market square and annual agricultural show. In springtime admire the array of delicate wild flowers in the hedgerows that line the minor roads you’ll be following. the 100km mark of the Wicklow Way. It’s only fitting therefore, to reward yourself with a pint at Tallon’s Pub, also known as ‘The Dying Cow’ thanks to local folklore! Quieter minor roads lead the 2km into Shillelagh. Shillelagh is famed for giving its name to the quintessential Irish stick hewn from an ash tree or hawthorn bush, and this craft is still practised in the village. From this point there is more road walking than the previous stages. Ascent approx. 500m. Raheenakit means ‘fort of the cat’, recalling the time before wildcats became extinct in Ireland. Pass through farmland, around Moylisha and Urelands Hills and cultivated forests on this final stage of the Way. Pass over Wicklow Bridge (the Wicklow/Carlow boundary), with just a further 3km to the one-street village Clonegal, where you’ll find the terminus of the Way opposite the green. In addition to 400-year old Huntington Castle, Osbourne’s pub is a local attraction, with its bar counter made from old coffin lids (completion certificates for the walk may also be offered)! It is a further 5.5km (a short taxi transfer is included) onwards to the largest of the Wicklow Way’s towns, Bunclody (just inside the northern border of County Wexford), with its welcoming bed and breakfast properties. From Bunclody you can depart with the twice-daily bus via Kildavn back to Dublin. We specifically choose the hotels, inns, guesthouses and B&B’s to ensure that you enjoy every minute of your stay. They all offer a warm welcome to walkers, traditional hospitality and delicious local food. Below you will find a list of the accommodation we regularly use which will give you a good idea of the standard of accommodation we use. Due the route taken by the Wicklow Way, it is often necessary to accommodate you sometimes up to a few kilometres walk away from the trail itself, as there is not always suitable accommodation close to the trail. Please take this into consideration when working out your daily walking distances. Details will again be given on your accommodation sheet. The house has an elevated south facing aspect with panoramic views of woodlands and the Derry river which passes through the bottom of the garden. A warm welcome and a great location in the Glendalough Valley await you at Woodbrook. The Monastic City of Glendalough is only 2 kilometres away and the house has all modern conveniences and all rooms are ensuite. Tóchar Cottage, a friendly, family-run Bed and Breakfast, is two minutes walk from the centre of Roundwood village. Guests are greeted on arrival with complimentary tea or coffee and home-made scones. 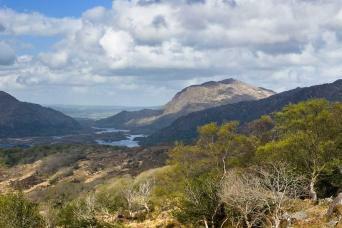 The Wicklow Way holiday is available from mid-March to mid-October. You can start your holiday on any date in the season. The Wicklow Way is well waymarked however you will also be supplied with the Rucksack Readers guidebook and detailled maps so you will have no problem following the route each day. This walk is graded moderate and includes daily of walks of between 12-21km following footpaths and some road walking and several ascents and descents along the way. You should have a good level of walking fitness to get the most from this tour. It is a requirement of booking this tour with Macs Adventure that you have suitable travel insurance which covers you for the activity and emergency evacuation and hopsital care. The distances and ascent / descents are approximations of the recommended routes. Please be prepared by packing all necessary items, for example, proper rain gear (jacket and pants) sun hat and sunscreen. Your information pack has a detailed equipment list which includes standard walking gear such as good walking boots or shoes, warm and waterproof clothes for the cooler months and lightweight clothing for summer, and a day pack. From the airport there is a good bus service into Dublin city centre. 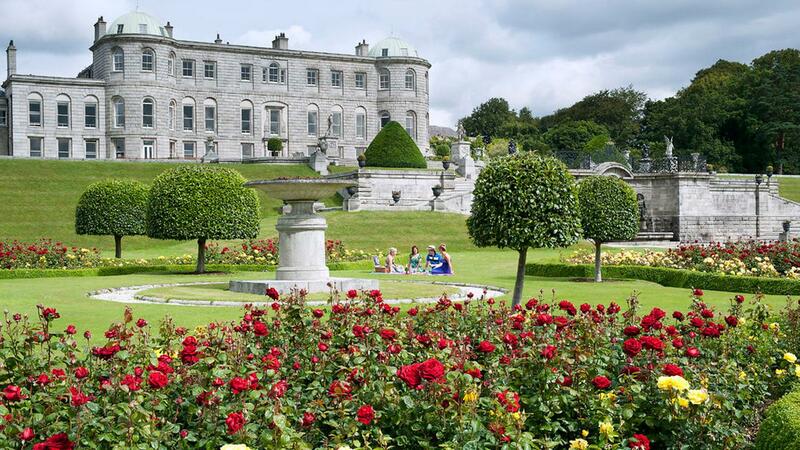 To get from Dublin city centre to the start of the walk at Marlay Park you take a 20-mins bus journey. Getting from Wicklow is relatively simple, taking either a bus or train to Dublin. A twice-daily Bus Eireann Expressway service runs from Bunclody to Dublin's city-centre bus station (Busáras) at Store Street. A Wicklow Way Bus Service also operates along the route, transporting walkers from (amongst other locations) Tinahely to the nearest train station at Rathdrum, with Dublin then a 1h30 train ride away. See Irish Rail for timetables. 6 or 9 Nights bed and breakfast accommodation in en suite rooms wherever possible. Door to door baggage transfers. A detailed info pack, route notes and map guide. (9 Night itinerary only) Transfer from Clonegal to Bunclody. Transfer from Dublin city centre to Marlay Park. Planning a long distance walking trip can be daunting, especially if this is your first long distance walking holiday. We are often asked the following questions, and I hope that you will find the answers useful. Our itineraries are graded moderate and are suitable for regular walkers but you must be in good physical health. Most days offer between 6—8 hours of walking on good terrain which may include forest tracks, boardwalks and minor roads. The Way does not go any higher than 630m, so it is comparatively low-level, however, is undulating. Overall, around 25% of the Wicklow Way consists of road walking, but in the southernmost section (past Tinahely) this rises to around 63%. This route is well way-marked, and much of it does follow a path. It is always advisable that you are know how to navigate with a map and compass although the Way is largely very straightforward to follow, especially with the map book and guidebook we provide. Our guidebook follows the path in a north-south direction. Are there facilities/places for eating in each village? There will be facilities in each village on the Wicklow Way, with some local dining options for each evening including pubs, lodges and small restaurants! You will also find local shops and cafes in each location and your accommodation may also have a restaurant/ dining options on site. We suggest you book as soon as your plans are finalised as the Wicklow Way is extremely popular especially over July/August. You will find up to date availability on our website, and we will always try and accommodate your plans. 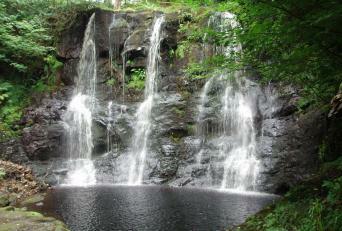 This walking holiday is best enjoyed between mid-March and mid-October. You can start on any date that suits your travel plans, and you will find up to date availability on our website. 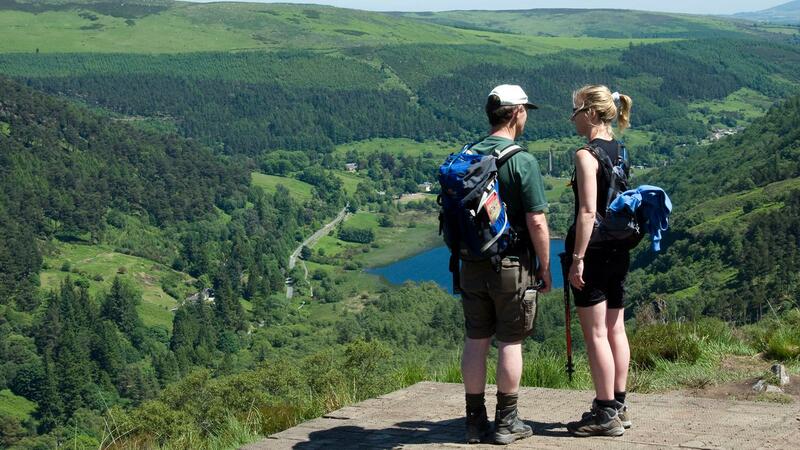 The Wicklow Way is popular, so it is best to book as far in advance as you can. We made last minute plans to add walking a few sections of the Wicklow Way to a trip to visit friends in Dublin. Emphasis on last minute. We needed a tailor-made trip because we were not signing up for the full-length trip that Mac's promotes. I threw out some ideas to Caroline Sloan. She called me and we discussed some options and pros and cons. Fortunately, she was able to arrange for accommodations in the B & Bs she thought we would like. They were all good picks. Because of the lateness of our request the paper copies of the itinerary packet that Caroline mailed to our first B and B never caught up to us. Instructions that she sent by email and the Mac's Adventure app for my phone were sufficient. This experience matched our Mac's Adventures walk along Hadrian's Wall several years ago. Both trips were excellent. Mac's seems to enjoy very good reputations with the B & Bs they book. Staying in B and B was great after a long day of hiking. Everyone is friendly and very helpful. My experience with Mac unfortunately did not start so well; they seriously overshot their own projected time frame of 5 working days which in turn affected all personal arrangements that had to be made from my side, both logistically and financially. In addition, responses to my enquiries were slow and really seemed like auto-generated messages, with no indication of progress or any new time frame to plan around, even when I directly asked. It was very frustrating. The other con, for me, was the range of accommodation. I was informed when the delay started that it's a busy time so not a lot was available, which I completely understand, but Mac might want to consider establishing the client's nature/needs before they make final bookings. On three of the five nights I stayed in lodgings right over very busy and vibey pubs/restaurants; while this would be absolutely perfect for someone who enjoys socialising, I am not that person. That being said, the material and welcome package I received was incredibly detailed and comprehensive. The maps were clear and up to date, transfers were perfectly organised, and I never doubted where I needed to be or where I was going. Also, the app is brilliant and I wish more hiking companies/trails would use this system - it tracks like a dream. Lastly, the hike: It was amazing. Wicklow Way is so well signposted and laid out that it should be on anyone's bucket list. Given the time I could have gone on forever. Much like I am now. All went very smoothly, however on Day 1 a marker was missing and we went 1 km out of our way and had to retrace. On Day 3 another marker was twisted and made it difficult to determine which direction to go and also on day 3 we had to detour via a logging road and there appeared to be no markers leaving us to wonder if we were heading the right way. Cell phone reception in the Glenmalure /Iron Bridge can be spotty or non-existent. Luckily our host knew of that problem so we ended up doing the walk from Glenmalure to Iron bridge in reverse so that we would not be left at Iron Bridge with no way to call for our pickup. Coolakay B & B, Coolalingo B & B and Madeline's Guesthouse all great places to stay. Lovely homes and warm hosts who were so helpful. Pinewood Lodge was a lovely home but we felt that we were not as welcome there. All in all I would highly recommend this walking tour to anyone as a wonderful and amazing vacation! Wonderful vacation! Only a few points to make such as a direction marker missing along the trail on day one and another one (day 2) appeared twisted so instead of straight or right as trail went, was pointed between. Found mileage to be underestimated a couple of days. Cell coverage not available when we were supposed to contact B&B owner for pickup (luckily our hostess advised us of this and we walked in reverse that one section). There was a route detour on day 3 due to logging that was not marked on our map and the reroute was not clearly marked. Would highly recommend Coolakay B&B, Coolalingo B&B & Madeline's Guesthouse...awesome hosts and beautiful homes, exceptionally accommodating. Pinewood Lodge is nice home but not as welcoming after a long hike. A great mountains, valleys, lochs (loughs? ), forests escape! 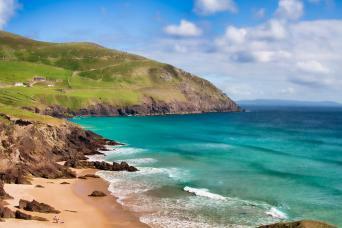 Ireland has mixed weather, though i was lucky with mostly sunny days. Even when it was wet i thoroughly enjoyed myself, and B&B mean you can always get dry at end of the day. Scenery was mountains, valleys, lochs, (lough's in Irish spelling), farms, cows, deers, sheep, horses, a peacock. The walking was challenging and sometimes I would be looking down as i ploughed on, and when eventually looking up, I repeatedly suddenly stopped, so beautiful were the views! It's a quiet walk on the trail, not like teh Camino De Santiago final stage say, and there are not cafe's and pubs (one or two only, apart from B&B where there is always a pub nearby) during the walking day, but that is nice in itself (although I wouldn't say the Camino suffers for this, it is all v tasteful and not overly commercial). You meet really nice folks from Europe and America/Canada - you can do this walk South to North to end up in Dublin, leaving the hardest walking till last, or the traditional North to South as I did, and because of that you occasionally cross people on the route heading the other way, which is always good since you can share experiences and tips. The way itself is extremely well marked, I think there was just one junction that wasn't marked, which ended in a dead end 10 mins later, so quickly got back on track. The accommodation is typically off route too, and can be tricky what with weddings and such in the summer time, especially on weekends - some B&B will negotiate to allow you to camp in their fields/gardens in these situations. The people are very friendly, the Guiness is excellent. You pass the house (from a hawkish height, not actually pass their front door) where the Guiness family live, in the most stunning location. The walk is challenging, you need proper hiking boots for going up and down the mountain shoulders/ off route peaks. Walking poles help when descending, especially if descending wet stones, but I didn't have these so just took it slow and carefully! Great! Glad not be to chained to the desk! We all enjoyed ourselves but were fortunate to have nice dry weather every day. The Wicklow Way with Mac's Adventures! The overall adventure was well organized and well worth the price. The maps provided were excellent and there was no need for a guide. The luggage service was efficient and our luggage was always waiting for us. The B&B's were just perfect for this kind of trip. The hosts were friendly and readily shared their homes, hospitality and experiences. Mac's Adventures was well respected by the B&B owners. I would choose Mac Adventures again. This is my second time using Macs Adventures and I am still thrilled with the services of the team and the experience itself. I will be returning! Thanks! This is a delightful and easy-to-navigate walk suited for anyone with a good level of fitness. Several days involve ascent and descent, but the highest ascent is 630m and so manageable. 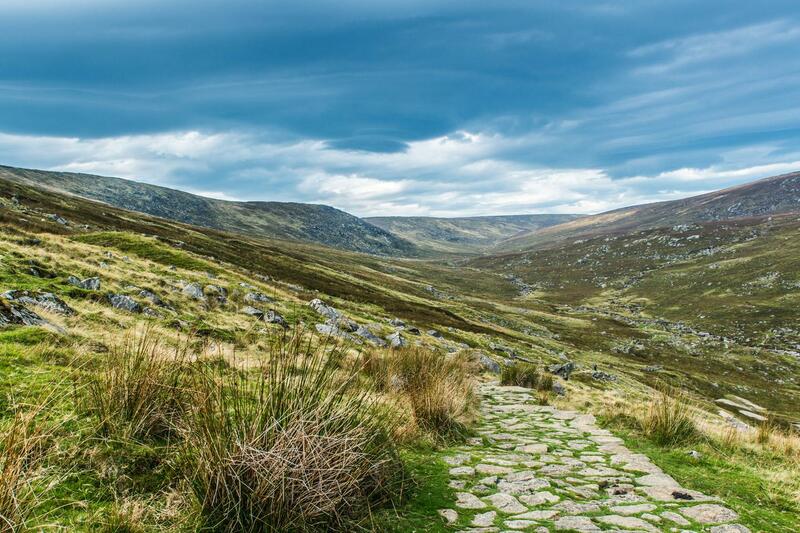 Start in the vibrant capital of Dublin, walking through the Wicklow Mountains to enjoy stays with friendly and welcoming hosts - céad mile fáilte awaits you!